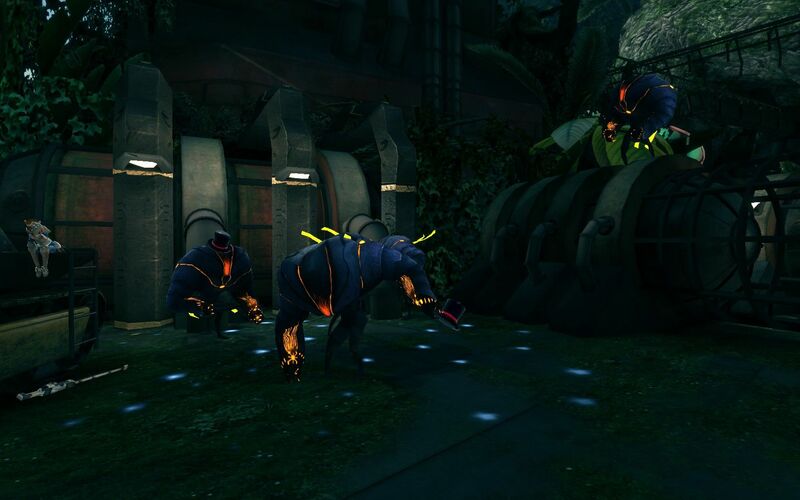 Sanctum is a tower defense game with first-person shooter elements. The story is rather simple: the player takes the role of the elite soldier Skye who has to save her home from alien attackers. The basic principle follows the usual genre rules: In every round Skye has to buy and set up defenses to repel attacks. She also sets up walls to steer the attackers. After the building phase the horde comes in and the player has no longer controls over the defenses. This means the heart of the game is to make a useful plan beforehand (it is known which of the twelve alien units will attack). In this phase the playing field is shown from a top-down view. 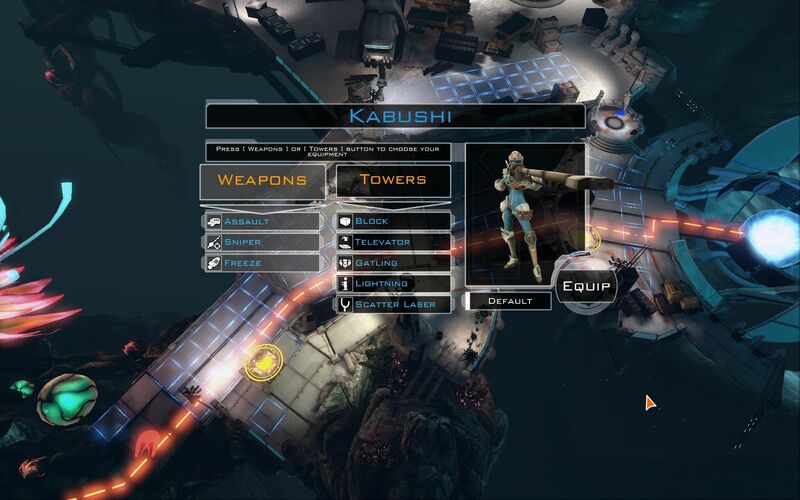 But while normally control is completely taken away from the player during the attack, Sanctum switches to a first-person mode and gives Skye several weapons to use, e.g. a freezing cannon or a sniper rifle. She can't be hurt; enemies just shove her to the side. 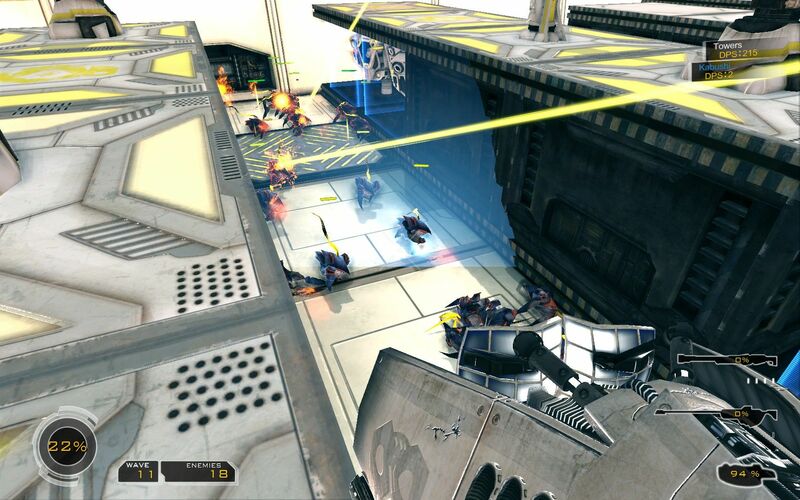 After every wave there are credits rewarded which can be re-invested in upgrading the guns or buying more defenses. 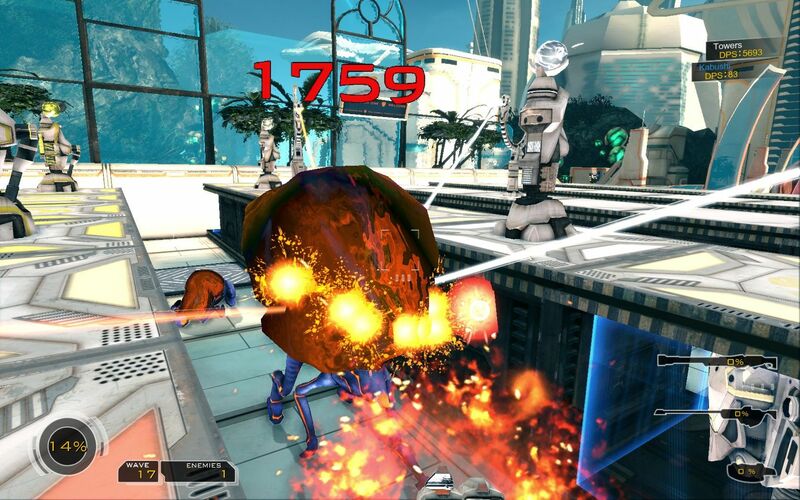 The game features three levels, four difficulty levels and a co-op mode.